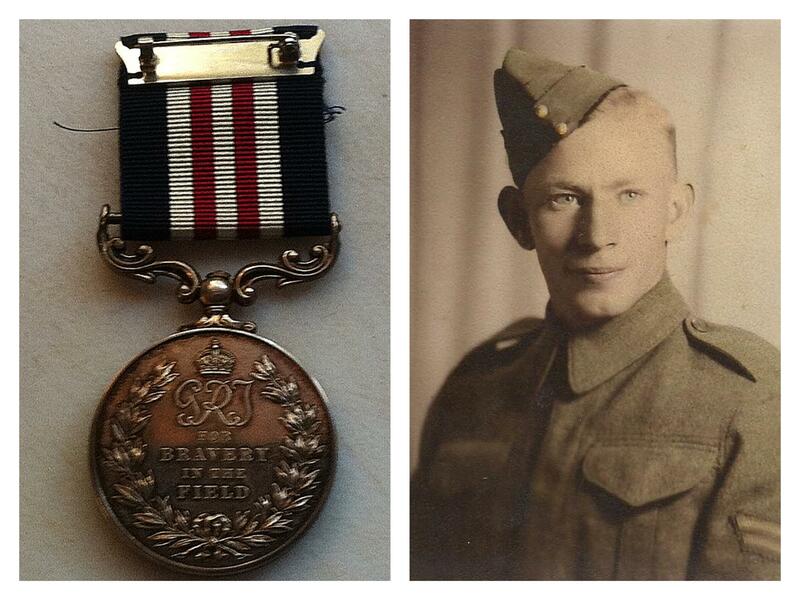 CRAWFORD, Francis Allan, Private (B.55247) - Military Medal - Infantry - awarded as per Canada Gazette dated 10 November 1945 and CARO/6193 dated 12 November 1945. Private Crawford has served with the Algonquin Regiment as a member of the Intelligence Section throughout the entire European campaign. During this period this Soldier's work has always produced excellent results that have been a credit to himself, his Section and his Unit. Two incidents, both of which were outside his normal call of duty, are particularly worthy of mention. On the night of 3/4 August 1944, while the Algonquin Regiment was in its first battle area at Hubert Folie, Normandy, Private Crawford volunteered to go alone into the German positions around Tillie La Campagne to ascertain their locations and approximate strengths. On this lone patrol it was necessary for Private Crawford to crawl almost a mile over open country that was being constantly raked by intense mortar and machine gun fire. Despite great personal risk he succeeded in probing into the enemy positions, eventually, after six hours of laborious and dangerous crawling, he returned with information that was of inestimable value to our supporting mortars and artillery who later engaged the targets indicated, with such good results that enemy fire in the area was greatly reduced. On the afternoon of 5 April 1945, while the Unit was fighting in the vicinity of Almelo, Holland, Private Crawford volunteered to try and evacuate a Company Sergeant-Major who was known to be seriously wounded and lying in open country well within the enemy lines. With three carriers providing covering fire, Private Crawford and a Royal Canadian Army Medical Corps man, crawled, dragging a stretcher with them, for several hundred yards along a water filled ditch under intense sniper and machine gun fire to the place where the Company Sergeant-Major was known to be. Despite the great danger the two men succeeded in carrying the badly wounded Company Sergeant-Major back to the Company position. Unfortunately nothing could be done to save the Warrant Officer's life and this magnificent effort to save the life of a fellow soldier was to no avail. Throughout the entire campaign Private Crawford has shown this same consistent courage and calculating skill. His conduct, initiative and complete disregard for personal safety has been a constant inspiration to all ranks in his Regiment.